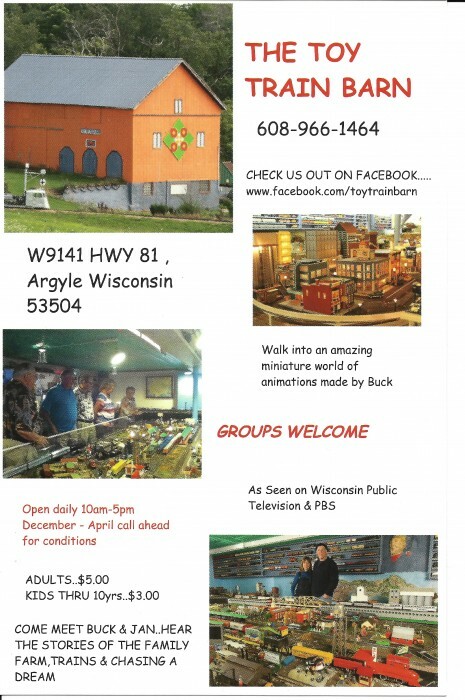 We were so excited to go here after hearing about it on the new TV program on Wisconsin Public Television, “Our Wisconsin Life”. Here is their segment. 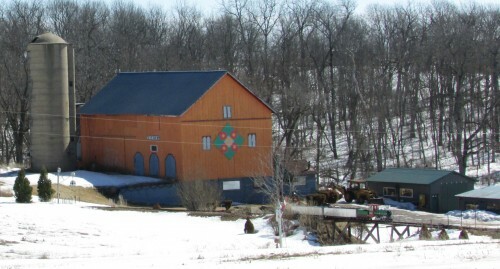 Just outside of downtown Argyle a few miles the Toy Train Barn rose above the countryside, standing out against the melting snow with its orange color and barn quilt. 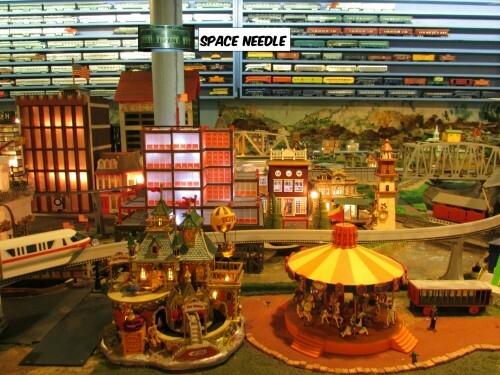 We could not imagine so many little trains in one place! 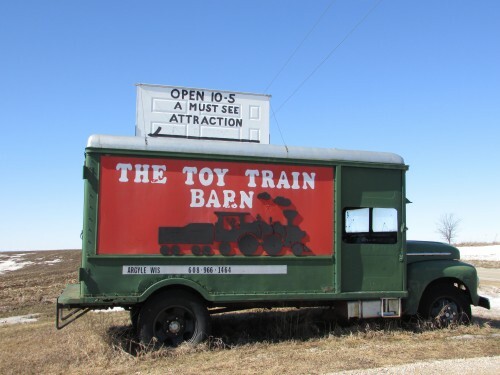 I was impressed by the two trains at the Olbrich Holiday Express in December, but this blew it out of the water. 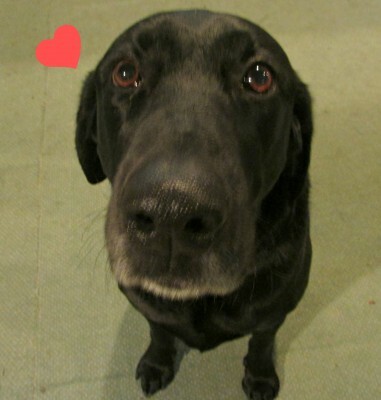 Jan Guthrie was so kind to show us around, her dog Casey Jones was so sweet and friendly. She opened the door and a plaster railroad guy was one of the first things we saw. We could not believe the vista spread out when we walked in the door. The view was a city at dusk, subdued lighting with MANY moving objects, not just the trains. This is on the left side of the display, an aisle goes down the middle of the museum. In this picture a moving space needle goes up and down the pole. Also video of scene below. The right side is just as interesting. The band playing (VCR recording), balloon and kids jumping on pogo sticks is wonderful. 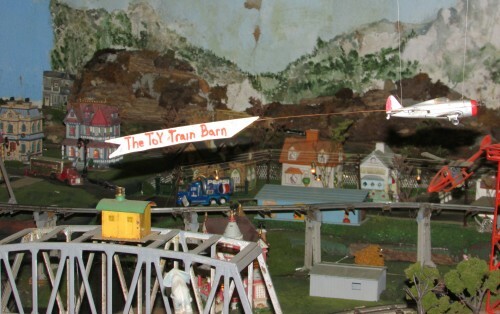 The trains are even to programmed to stop at the depot. The message plane flying around.. 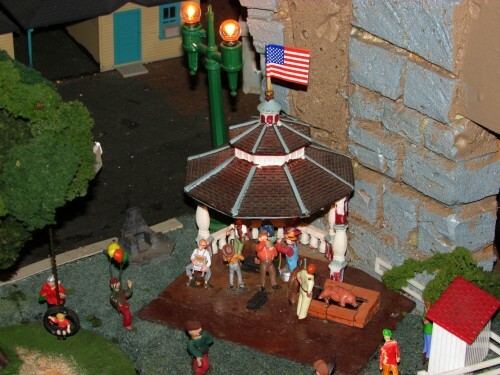 This was really cute, a band playing bluegrass under a gazebo, a pig roasting on a spit. It was also turning. 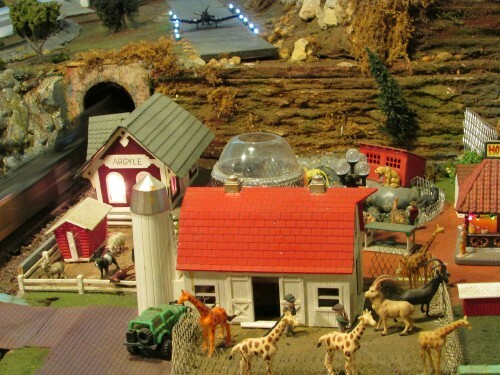 Also a Depot and barn with lots of animals. There is an air strip too. We finished up our visit with some music from the player piano and a picture with Jan and Casey. 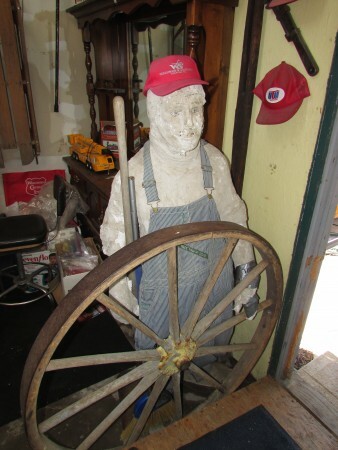 Jan and Buck Guthrie welcome you to their fine train museum. 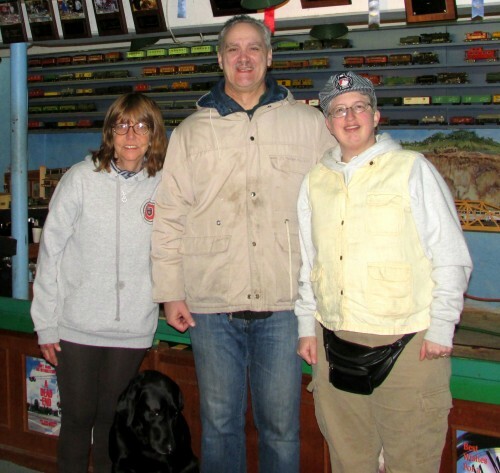 In the summer months, miniature trains rides outside complete your experience. ALL ABOARD! !